Hi! My name is Kandu and I’m the CHASA Mascot. I’m ready for a BIG ADVENTURE. Want to go with me? First you need a picture of me. You can draw a picture of me or you can download one of the pictures below. Finish coloring your picture and ask someone to take a picture of you and me. Maybe we can go to some fun place in your house or yard or maybe even in your town or city. I want you to know that I love to play outside! I like slides and swings and playing games. 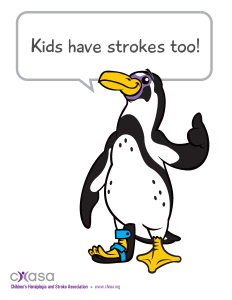 If you’re into raising awareness, you can write Kids Have Strokes on a sign and include that in your picture, too, since May is Pediatric Stroke Awareness Month and we want people to know more about that. Send the picture to CHASA so we can share it with ALL THE KIDS! 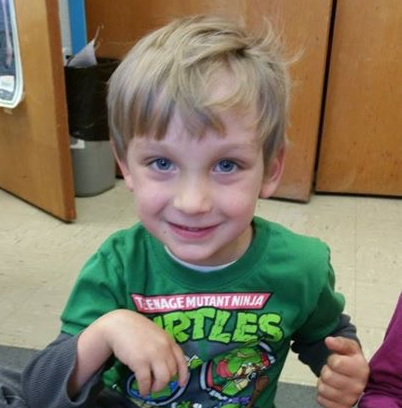 Go to Kandu’s Facebook page and send us a message with your picture. Tell us your first name, your age and the state or country where you live! 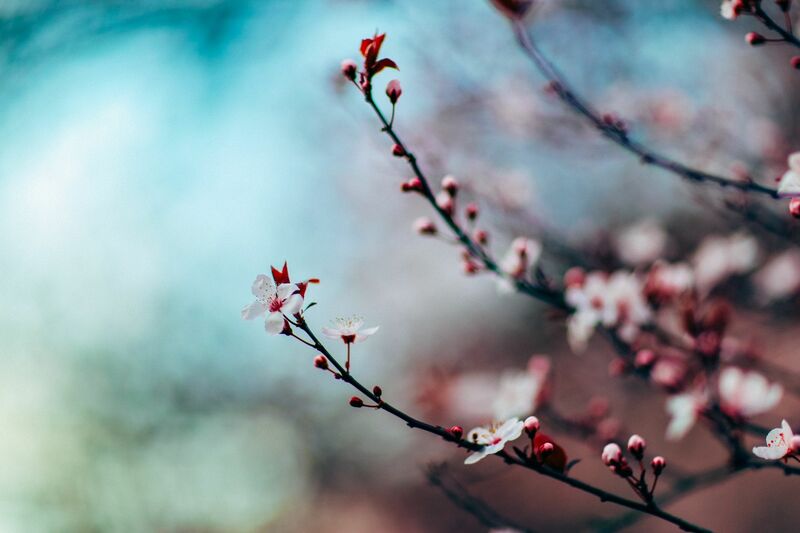 If you’d like, you can also tell us something about things you like to do. 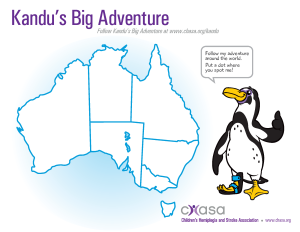 Now you can download maps so you can follow the adventures of Kandu with ALL THE KIDS. 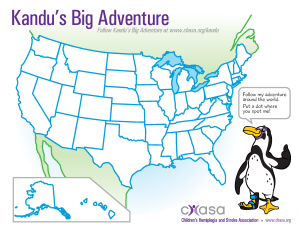 Finally, go to the Kandu’s Facebook page and watch for pictures of KANDU’S BIG ADVENTURE. Kids like you will post their pictures and you can Make a Dot on the Spot on your map that shows where they live. Or if you like to color, just color the whole state or country where they live – it’s up to you! Kandu isn’t just for kids. 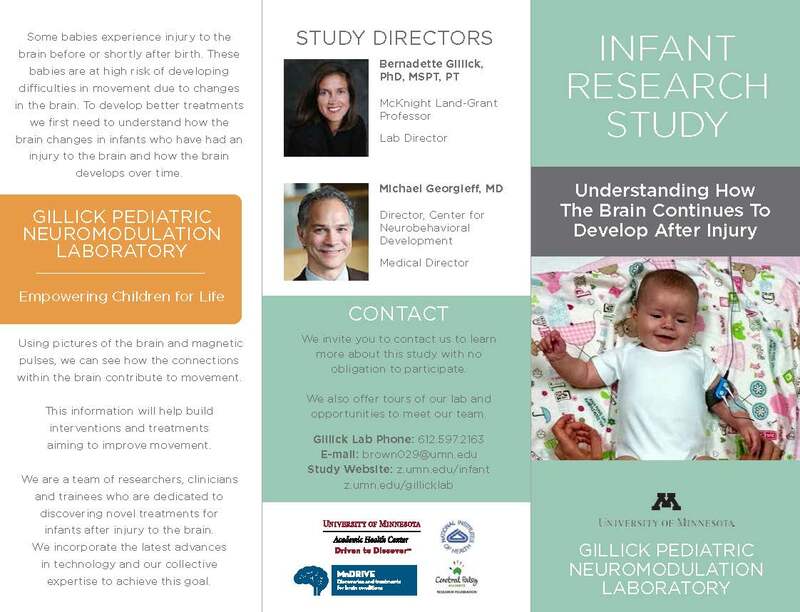 If you’re a parent or an adult with hemiplegia or a pediatric stroke survivor, you can send us YOUR picture. We think the younger kids will love it! 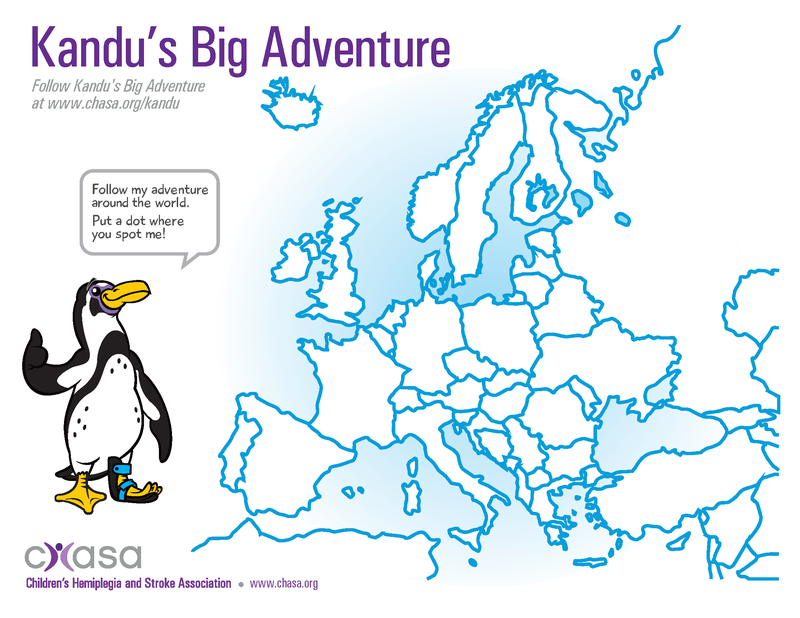 Donate and help CHASA send little Kandu stuffed animals to kids who have hemiplegia. 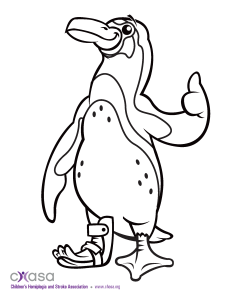 Learn more about the history of the CHASA mascot, Kandu.